What develops new water and importation projects? In a growing desert community, new water resources and their relationship to new developments are a concern. This Topic Paper addresses new water sources and information on proposed importation projects. Does Truckee Meadows Water Authority (TMWA) develop new water supply projects? TMWA monitors the development of new water projects. Developers and for-profit companies research and fund prospective water supply projects. The TMWA Board of Directors has set a policy to support the need for the development of additional water resources that can be used within TMWA’s jurisdiction. So, the Board is looking to private developers to develop new water projects. TMWA will work with viable projects approved by the appropriate governmental agencies. This means that TMWA may be involved in treating and delivering the new water, but all costs to develop the water supply project will be at the expense of the developer and new customers. What is TMWA’S role in growth in our community? Water resources are clearly an important element in the growth of our community, but TMWA plays no direct role in growth decisions. Local governments – the city councils of Reno and Sparks and the Washoe County Commission – ultimately set the communities’ direction on growth. As a water provider, TMWA manages existing, and plans for future, water supplies. TMWA cannot deliver more water than is available through its existing water rights and drought reserves—for any purpose, including growth. If you wish to have input on the issue of growth, contact your elected representative and/or members of the local planning commissions. Will the community need more water in the future? The Vidler Water Supply Project (formerly known as the Truckee Meadows Importation Project or Honey Lake Project) has been permitted by the State of Nevada to import 8,000 acre-feet of groundwater from the Honey Lake area. Water supplied by this project is proposed to serve the Stead, Silver Lake and Lemmon Valley areas. 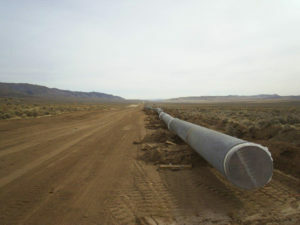 Construction is in the final stages of completion with the first water deliveries scheduled for early 2008. 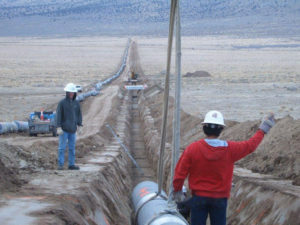 In October 2007, an agreement was approved between the Washoe County Commission and Fish Springs Ranch LLC to transfer the water importation infrastructure to the county (at no charge) for operations and maintenance. The water rights associated with the project have been banked with Washoe County for use by third-party developers. Washoe County will develop a rate structure for users benefiting from the new water supply to recover costs for operations and administration.